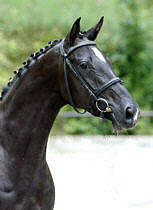 Schwalbenflair lost her foal by All Inclusive on 30.12.2010. 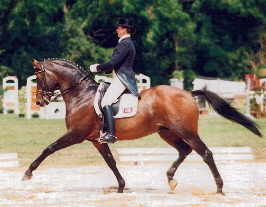 Under the saddle "Schwalbenflair" presents herself with much energy, large movements, and very good cadence. She has a wonderful character! 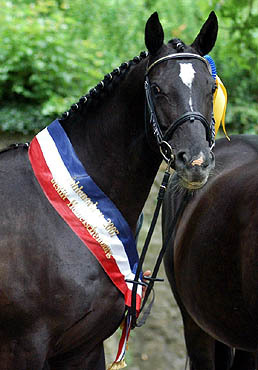 Her sire " Exclusiv" became Champion of the Competition for Young Riding Horses at Steinhagen-Brockhagen. 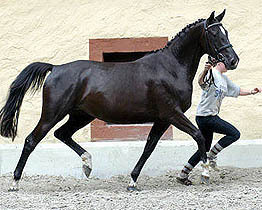 Schwalbenflair is a full sister of the Hämelschenburger premium-mare "Schwalbenpiel" - mother of premium-stallion "Shavalou". 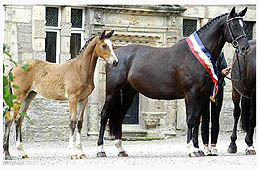 Her dam "Schwalbenlust" (premium mare) became Reserve Champion at the National Trakehner Broodmare Show at Neustadt/Dosse. 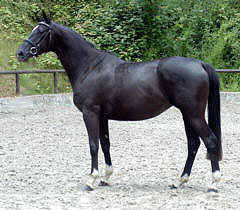 She is mother of the international Grand Prix - Champion Dark Diamant. 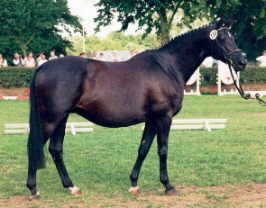 - "Burgschwalbe" - dam of "Seigneur", former Champion of the stallion-selection. 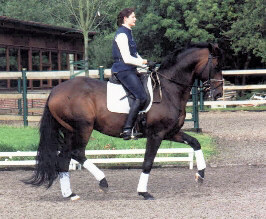 3nd dam "Schwalbenlied", who became Champion of the Hamburg Championship for Young Ridinghorses, is as well the dam of "Santiago" by "Wie Ibikus", another Champion of the Trakehner Stallion Selction.